When You Take Action Today, You’ll Also Get These Fast Action Bonus FOR FREE! It breaks up the whole training into easy-to-follow steps so that you can make sure you have every single piece of advice taught in the training guide at your fingertips. This helps you to track your progress and become a YouTube celebrity in no time! Some people learn better by looking at a mind map. This mind map gives you a visual overview of every step you need to apply. You can also print it out for quick reference anytime you need it to refer back to on the road to stardom! 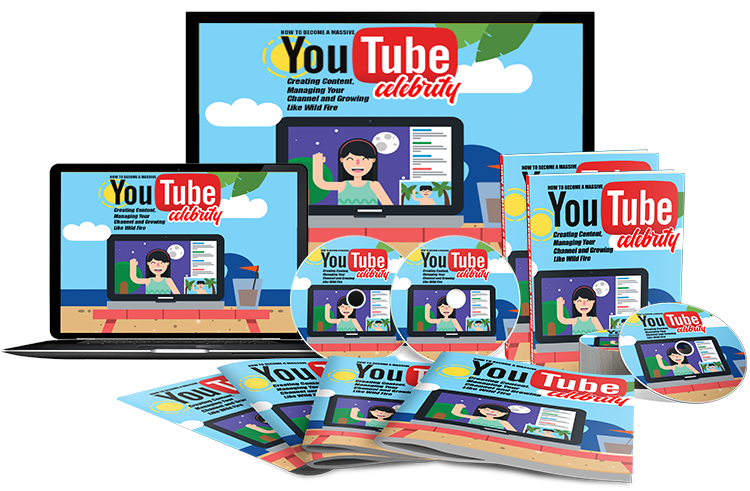 Get INSTANT ACCESS To The Step-By-Step YouTube Celebrity Guide Today!